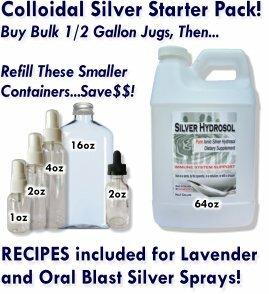 I'm so relieved to have my Colloidal Silver Hydrosol on hand today. I went to bed with an itchy eye. Woke up this morning with what appeared to be an eye stye. I haven't had one in YEARS. I decided to put a few drops of the colloidal silver hydrosol in my eye. Within just 4 hours the burning pain is gone and instead of red looking, it's just slightly pink. I'll put a few more drops in later and before bed.